A new vibrant master planned community is coming soon. Located on Dundas Street West between Kipling Ave. and Hwy 427, this ideal location is your connection to a stress-free commute to work, easy access to endless weekend possibilities. Pinnacle Etobicoke is a new condo development by Pinnacle International now in preconstruction at 5415 Dundas Street West, Toronto. The new development will have a total of 274 units. As Dundas Street curves southwest from Toronto's Kipling Subway Station, a growing number of residential high-rises is clustering around the TTC's Line 2 Subway line. 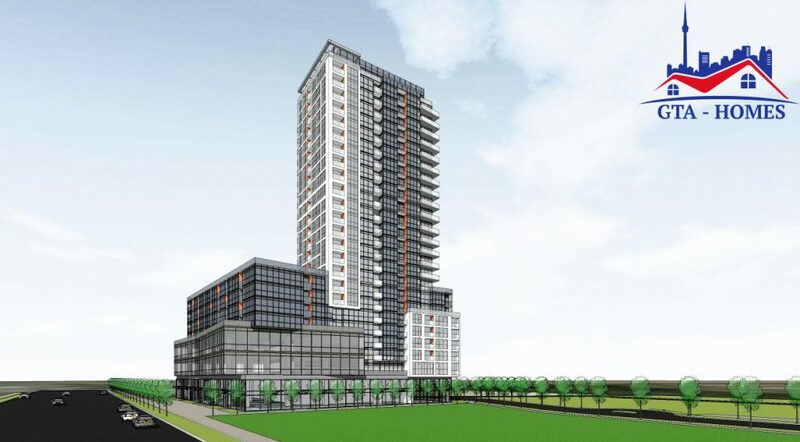 Immediately west of the station, the developer is advancing a proposal for a 25-storey mixed-use tower, called Pinnacle Etobicoke Condos. Designed by Turner Fleischer Architects, the 25-storey residential tower would replace a line of low-rise commercial buildings and their parking lots. The 5415 Dundas Street West which is the site it will be located at the northwest end of an expansive site—stretching west to Shorncliffe Road—previously owned by a company known as Dunshorn Holdings. Following years of applications, preliminary planning for that project began, the developer then purchased the 10.5-acre site for their investment opportunity. 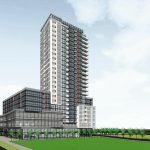 The 25-storey tower would be the first phase of a larger master-planned community, though specific details regarding the builder's long term plans are still to come. Alongside the phase one building, architectural plans submitted to the City of Toronto indicate an on-site green space dedication immediately west of the 25-storey tower. The 2,645 m² public park would be given to the City as a dedication representing the entire master-planned community, with land contributions from multiple phases showing the creation of a new green space. Pinnacle Etobicoke's phase one tower features 274 residential units, along with 1,320 m² of street-level retail area, and 3,475 m² of commercial office space above. The proposed unit mix includes 169 one-bedroom, 99 two-bedroom, and 6 three-bedroom suites. 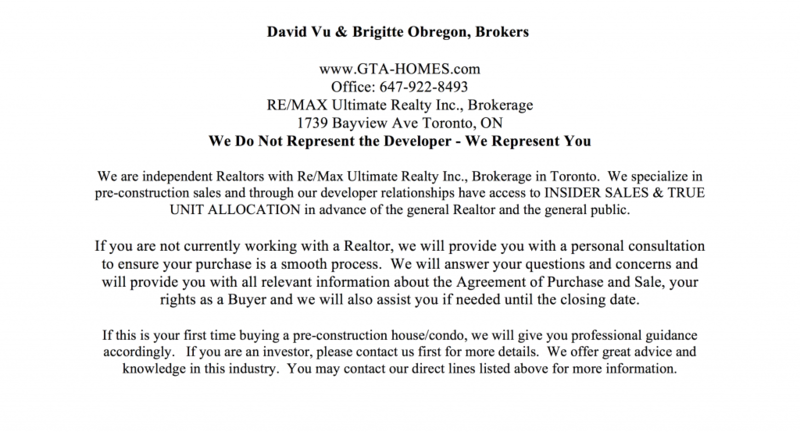 5415 Dundas Street West has a Walk Score of 76 out of 100. This location is very walkable to many stores, so most errands can be done on foot. Its also a nine minute walk from LINE 2 (BLOOR - DANFORTH) at the Kipling Station stop. This location is in the Islington-City Centre West neighborhood in Toronto. Nearby parks will include Cloverdale Park, Greenfield Park and Silver Hill Park. Register with us today for the first VIP Platinum Sales Event. Pinnacle International is one of Canada's leading builders of luxury condominium residences, hotels, and commercial developments. Pinnacle Etobicoke Condos is a real estate development and perfect investment opportunity at 5415 Dundas Street W. Developed by Pinnacle International, the Major Intersection is Dundas Street West and Runnymede Road. It features one 25 story residential tower with a total of 274 Units. It has a walk score of 80 out of 100 and a tranist Score of 97 out of 100. It is in the Islington-City Centre West neighborhood in Toronto. Nearby parks include Cloverdale Park, Greenfield Park and Silver Hill Park. Future master-planned, mixed-use communities include the much anticipated One Yonge Street Site in downtown Toronto. This reputable developer is one of North America’s leading builders of luxury condominium residences, master-planned communities, hotels and commercial developments. Based in Vancouver, BC, they have been involved in the development, design, construction and management of their projects for over 40 years. With this experience and expertise, the builder has completed over 7,000 residences to help create and enrich neighbourhoods in Vancouver, Toronto and San Diego. The builder has development plans for an additional 10,000 residential suites located in various master-planned, mixed-use locations throughout North America. In Toronto, their landmark projects include Bellagio on Bloor, and the Pinnacle Centre, a 2,000 unit, 4-tower waterfront community located at Bay and Yonge. The company's Customer Care Department’s mission is to provide helpful information and deliver superior customer service. The company prides itself on customer satisfaction and will make every effort to see that homeowners needs are met as soon as possible. Designer is Turner Fleischer who builds for the future with technology and knowledge of tomorrow’s world. This progressive philosophy can be seen in thier firm’s dedication to sustainable design. No vision such as this phenomenon, can come to light without the full understanding and approval of the client, municipality and community. Register Now to get the Platinum Access to Brochure, Floor Plans & VIP Prices.